Are you an AirBnB host? 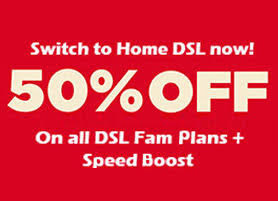 PLDT Home wants to sign you in with 50 percent discount on monthly service fee for 12 months and more. PLDT Home offers AirBnB certified Hosts 50-percent discount for monthly service fee for one year if they register or switch for a PLDT Home DSL subscription. On top of that, PLDT is also offering a speed boost together with free installation and modem. This news was unveiled to Cebu media in a premium AirBnB listed property in Villa Busay, Cebu City. Aside from the 50 percent discount, what else do hosts get? Alongside the reliable connection for their guests, hosts could also have a bundled Smart Bro Pocket WiFi with 1.75GB of mobile data. The device is a great alternative for guest who wanted to get connected on-the-go. Plus, the plan is also packaged with 2-year access to iFlix and FOX International Channels with thousands of movies and TV series titles. PLDT is targeting Cebu's heavy influx of tourist with the latest deal. However, the plan is not only limited to Cebu-based hosts only; it reaches out to the entire Philippine AirBnB community. AirBnB is a California-based listing accommodation website which started in 2008. Currently, the company is present in 190 countries with nearly two million listings and 65 million users all over the world. It is also available as a mobile app for iOS, Android and Windows 10 platforms.